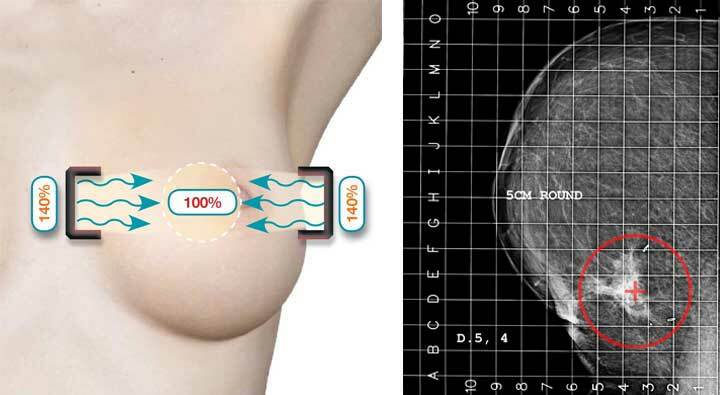 The AccuBoost Technique leverages the conformal dose typical of brachytherapy techniques with the clarity of mammographic image guidance. The technique relies on a 4-field dose design to an immobilized breast. The design is a departure from the “single point of entry” of electron boost or invasive intracavitary or interstitial brachytherapy approaches. Each treatment delivery relies on a new image for the radiation oncologist to designate the coordinates for targeting the radiation field. Very similar techniques are used to deliver the Boost portion of WBI or to deliver an APBI treatment. The AccuBoost Technique is used for either for tumor bed Boost or for 5-10 day APBI treatment. 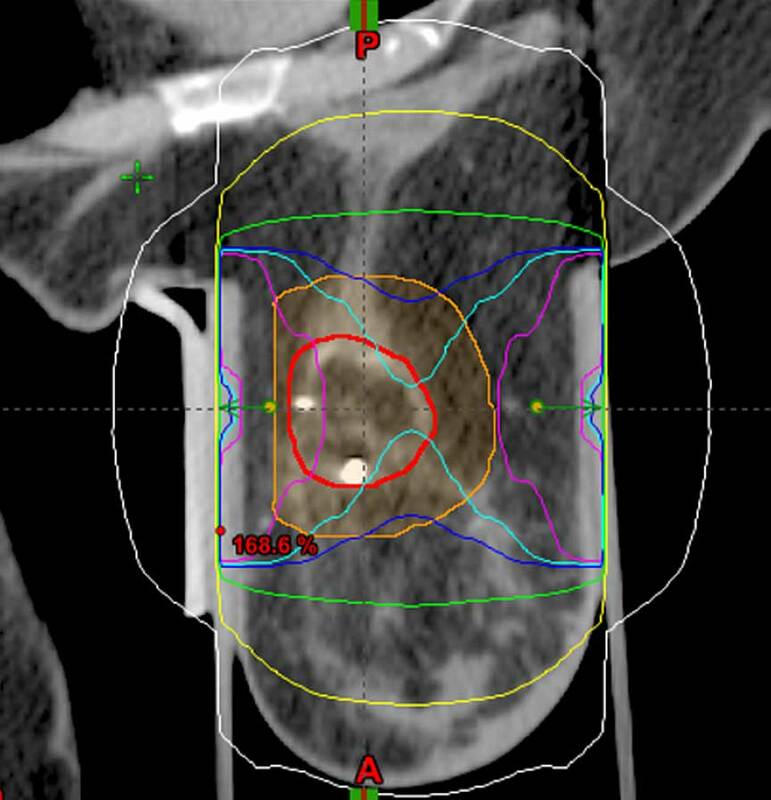 The breast is sequentially immobilized along two different axes and imaged to identify the lumpectomy site in need of radiation throughout the course of therapy. The radiation oncologist determines the size and shape of the AccuBoost applicator to be used for each treatment axis. 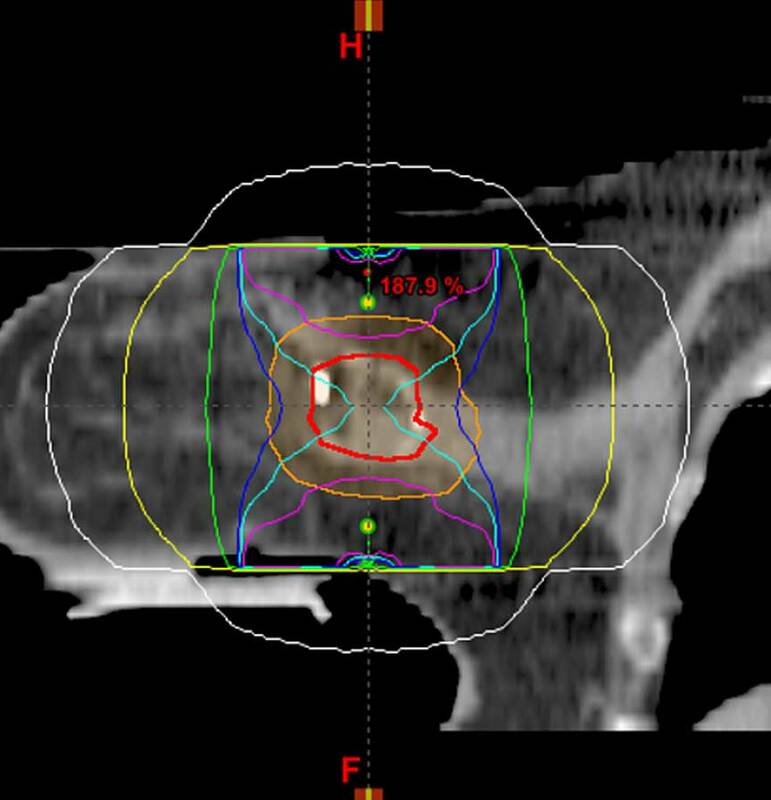 The Breast is immobilized, imaged and the shielded AccuBoost Applicators positioned on opposing sides of the breast (Cranio-Caudal direction) to deliver a collimated radiation field to the target tangential to the chest wall. The size, shape, and position of the field are determined from the image taken. The process of Step 1 is repeated by immobilizing the breast along the Medio-lateral direction, reimaging, again determining the proper applicators and position to be used, then treatment delivered. 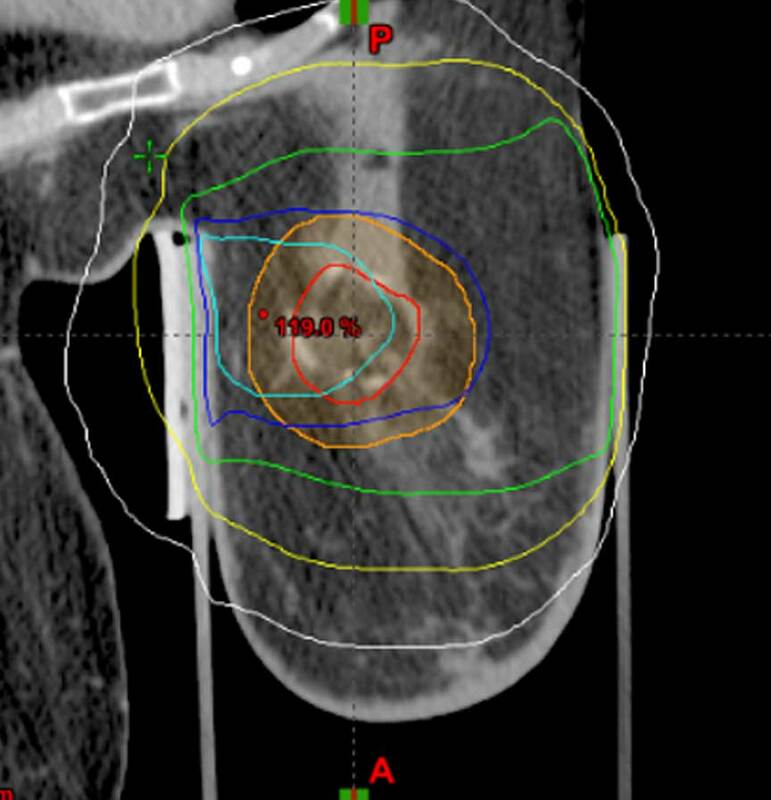 Combining the treatment along the two treatment axes allows the full therapeutic dose to be delivered to the target volume (lumpectomy site plus margin) while a subtherapeutic dose is delivered to healthy tissues. The tungsten shielding of the AccuBoost Applicators attenuates dose to non-target tissues along both treatment axes. *Cranio-Caudal and Medio-Lateral are used for reference and illustration. The actual direction for dose delivery is typically based on the preference of the radiation oncologist and the patient’s anatomy.